Permanently Stabilizes and Repairs Structural Cracks in Concrete Swimming Pools, Walls and Pool Decks! The best performing concrete crack repair system - period! The new AquaBond SP-1238 Stress Proof Stitch provides a revolutionary concrete crack repair staples system designed to permanently stabilize and repair structural cracks in concrete, gunite and shotcrete swimming pools and pool decks. Placed every 12 inches along the length of the fracture, AquaBond SP-1238 Stress Proof Stitches provide incredible load transfer and resistance against the structural pool crack growing larger. Our 3-Way System combines 1. Our unique, specially-machined mechanical stitches with 2. AquaBond’s non-sag Anchoring Epoxy AE-2200-250, a high-strength, two-part structural epoxy and, 3. a strong, expanding sleeve anchor. The result? 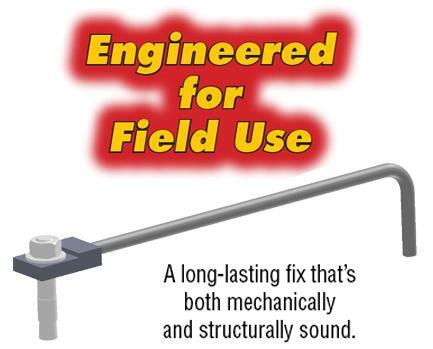 An amazing combination of strength and huge savings in both installation time and cost when compared to other repair methods for cracked concrete pools and decks! Not just simple staples… AquaStitch gives you a long-lasting repair that’s both mechanically AND structurally sound! 3 Times Stronger than #3 Rebar! 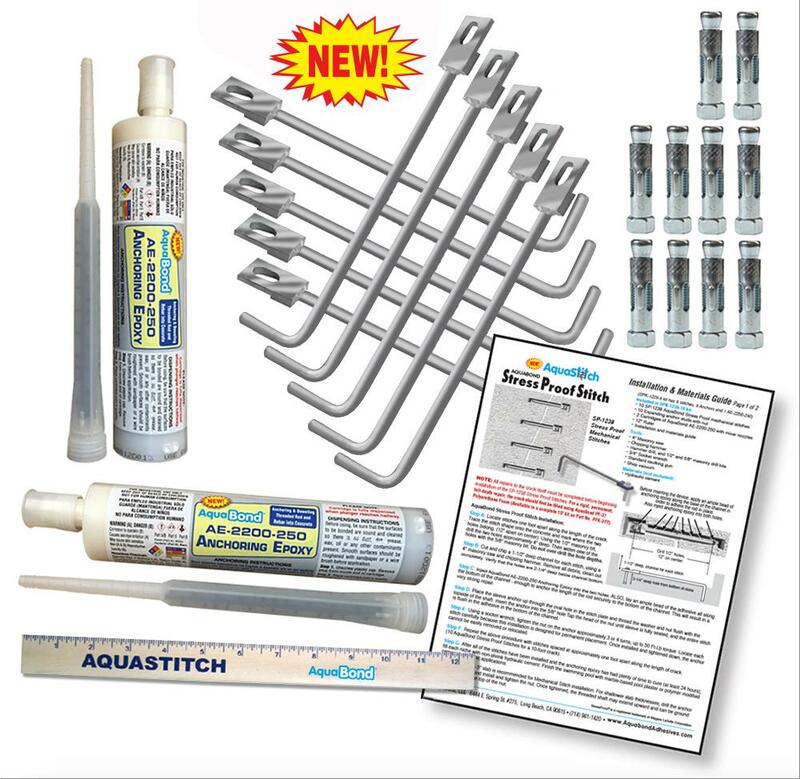 Everything You Need to Fix a 10′ Crack in a Swimming Pool or Pool Deck, in One Complete Kit! 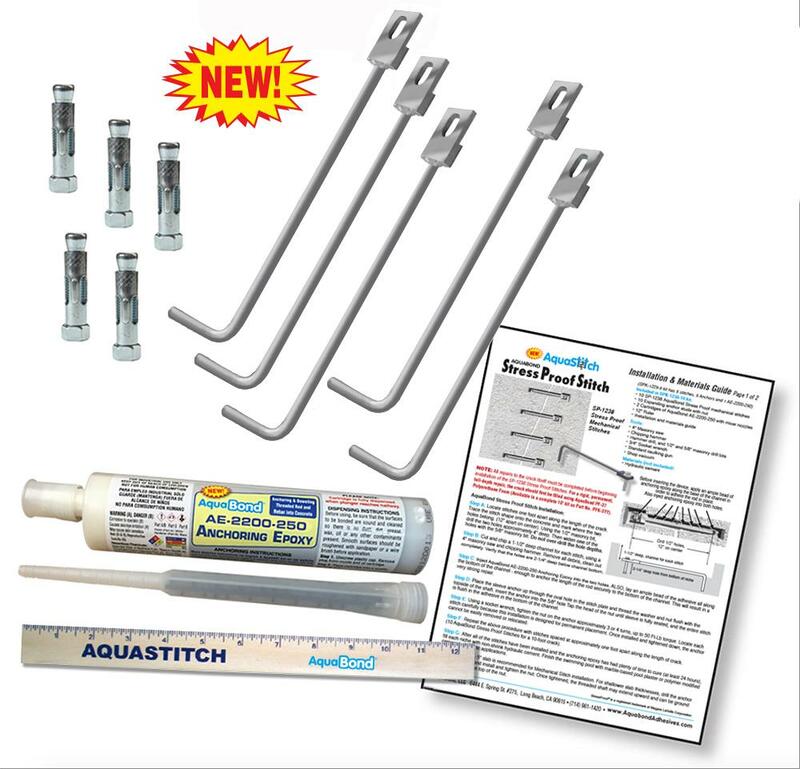 Everything You Need to Fix a 5′ Crack in a Swimming Pool or Pool Deck, in One Complete Kit! Our PFK-377 Polyurethane Foam Crack Injection Kit for Leaking Concrete Swimming Pools is the perfect companion to AquaStitch. 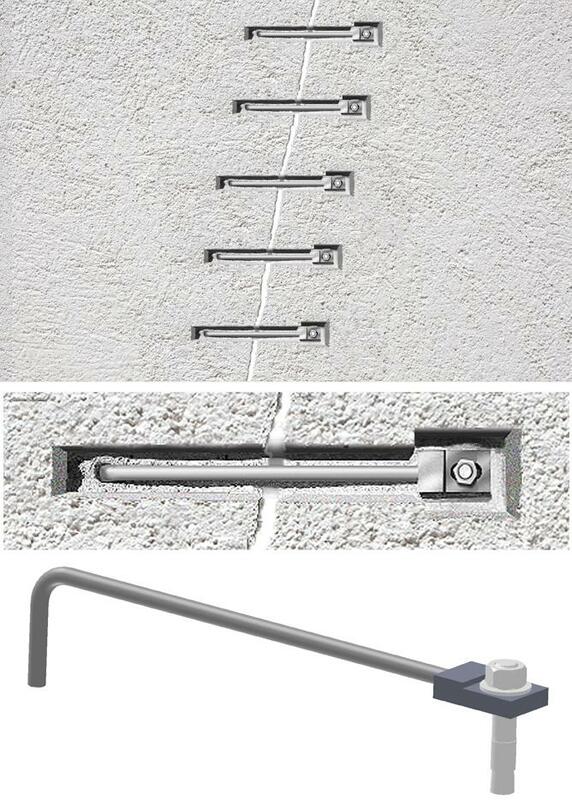 When you use them together you have performed the ULTIMATE in concrete swimming pool crack repairs! 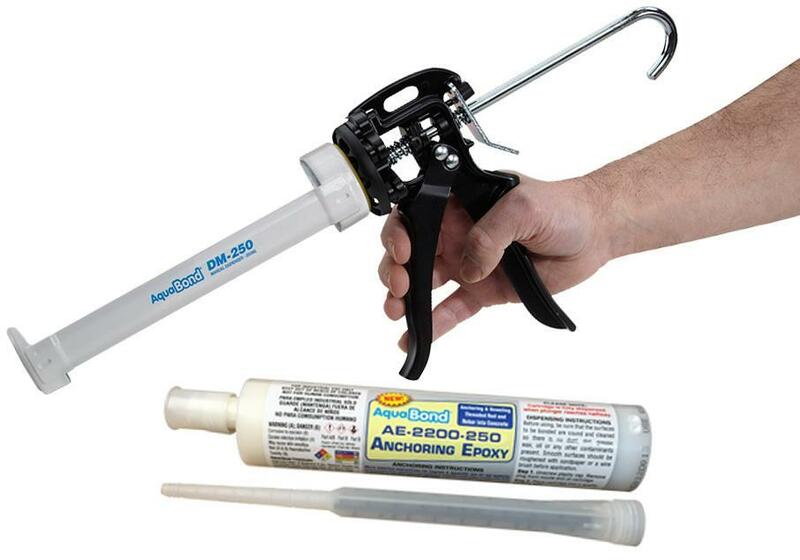 Super strong, structural-quality epoxy in a 250 ml U-Tah cartridge that can be dispensed from our DM-250 manual dispensing gun or any heavy duty, standard sized caulking gun.